While not everyone has to change up their skincare routine with the changing of seasons, many people should—and they don’t even realize it. “Patients with extreme skin types—dry, sensitive skin, or very oily skin—may need to change their regimens in summer and winter for better maintenance,” board-certified dermatologist Rhonda Klein M.D./M.P.H. tells More. If the change in temperatures is causing your skin to react (i.e. dryness, redness, irritation, scaliness, or excess oil), you might want to consider revamping your current routine. But, before you freak out over how much that could cost, we’re not talking a total overhaul. Tweak a few crucial products to prepare your skin for the change and to do some extra summer sun skin clean-up! If you only make one change to your seasonal skincare routine make it this: Switch out your face wash. Put down the heavy-duty foaming cleanser and opt for a creamy one, instead. This simple swap often can be all it takes to help skin adjust to decreased humidity and cooler temperatures. In addition, avoid cleansing your skin too regularly as that can also strip its natural moisturizers and cause your skin to either start to flake or overproduce oil, causing unnecessary breakouts. In general, creams tend to hydrate your skin better than lotion-based moisturizer you use in the summer. Lightweight lotions are a combination of oil and water, but they have a much higher water percentage and are more easily absorbed into the skin. Creams, however, are also a blend of oil and water, but have much greater amounts of oil than lotions, making them heavier, richer, and thicker in consistency. The oil in creams form a physical barrier to trap moisture inside the skin, which can be especially important in the colder months. And just because it feels like the sun forgot about you in the colder weather doesn’t mean that those UV rays aren’t still around to damage your skin.If you’re in a geographical location that gets cold enough, the snow-covered ground can even increase your UV radiation exposure by reflecting the rays back toward you. Make sure to choose a cream that still contains SPF to ensure that you don’t forget to stay protected all day long. 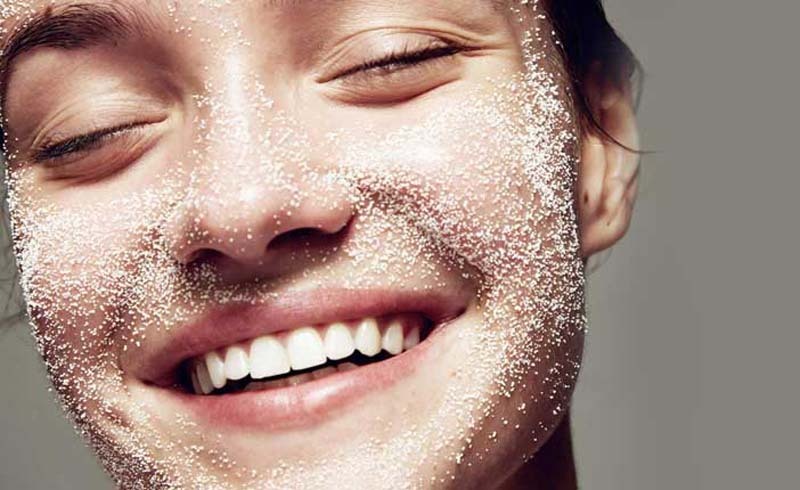 Over-exfoliating your skin (especially during the colder months) can cause excessive dryness. However, make sure to keep an exfoliator in your routine one to two times each week to slough away those dry, dead skin cells and reveal bright skin even in the dead of winter. While cooler weather might sound like the perfect time for a long, hot bath, try to fight the urge. Prolonged contact with hot water can strip the skin of its natural moisturize, leaving you even drier than you were before. Instead, try dry brushing. It helps stimulate blood flow and exfoliate, and it's super relaxing right before bed. 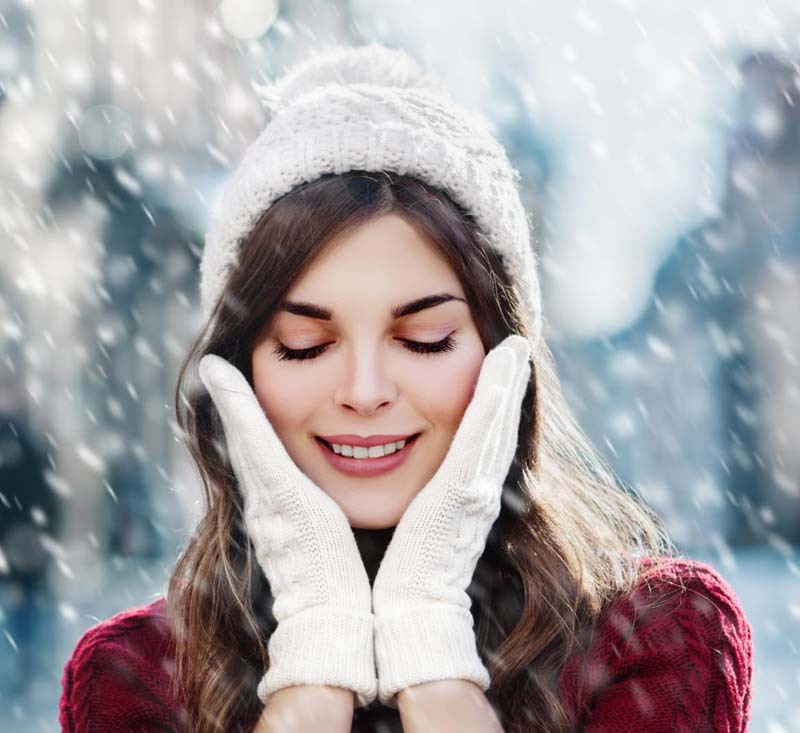 Trap the moisture in your skin by layering your winter skincare products. Use items like skin boosters, oils, mists, and moisturizers one after the other if you need a little extra help fighting dryness. Klein typically recommends applying an antioxidant serum and moisturizer in the morning and using those skin barrier products, ceramides (ingredients that restore hydration to skin), and night creams in the evening. During the cooler temperatures, she has her clients using eye cream twice a day to really boost hydration. In the world of skincare, retinols are powerful exfoliants that help the skin shed dead skin cells and, in turn, reveal healthier cells underneath. Products with retinols in them can also reverse sun and environmental damage and help treat acne. Sounds almost perfect, doesn’t it? When the seasons change, though, these ingredients can actually strip your face of moisture, depending on your skin type. “Patients with acne-prone or oily skin will often tolerate … stronger retinol products,” Klein says. However, if you find your skin leans toward being dry or combination-like, give it a break from these products in the fall and winter.